T-60 was a light tank that came from the Soviet Union in the first years of the Second World War. It was produced in relatively high numbers, with more than 6000 being made, but bearing mostly negative qualities as a tank. 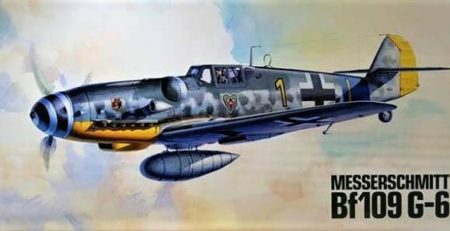 Some modifications were proposed, including a winged version, consisting of a T-60 tank and glider wings, but none of those was successful in any way. T-60 was lethal for its crew and nothing more, and tanks being captured by the Germans were used as tractors mostly. The nickname Bratskaya Mogila na Dvoykh, meaning Brother’s Grave for Two speaks enough about T-60s qualities. Still, more than 6000 T-60 saw the light of day and this, despite its poor capabilities as a weapon deserves its place in the modeling world. 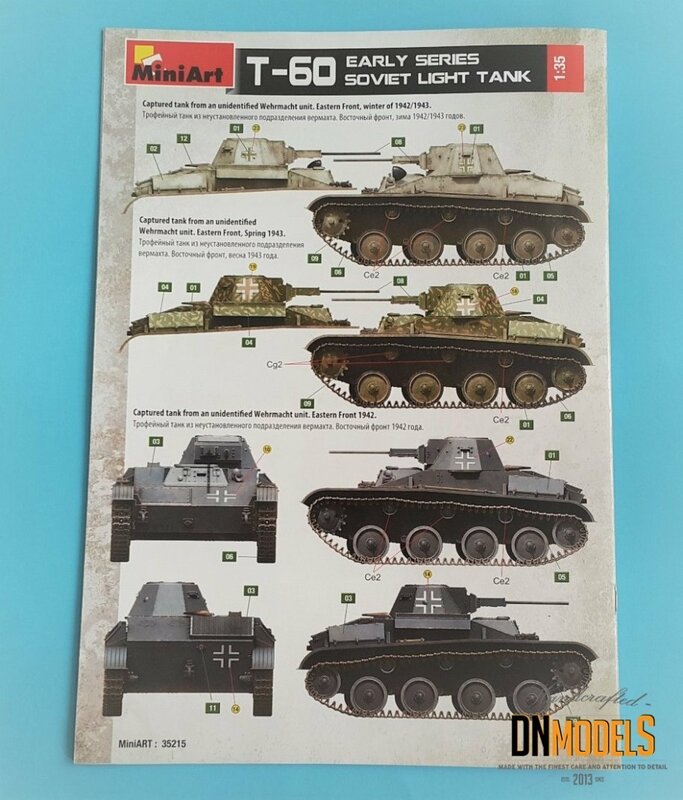 MiniArt T-60 comes in a nice box, with medium size and glossy cover. 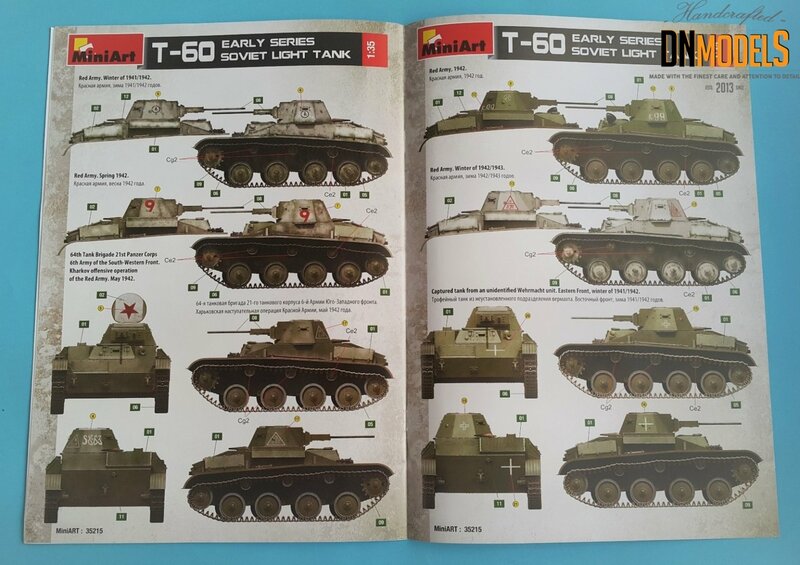 We have tank renders and of its interior on one of the sides, and on the boxart, a winter scene including T-60. It is firing and it is surrounded by a running soldiers in white outfits, in whatever seems to be a winter battlefield in a nice and clear day. 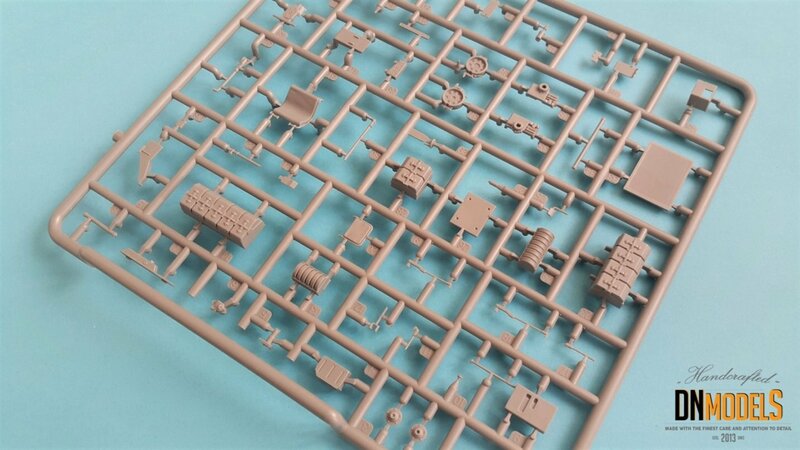 Interior kit logo is placed above the Miniart kit number – 35215. Next to the T-60, we have “Early Series” noted. 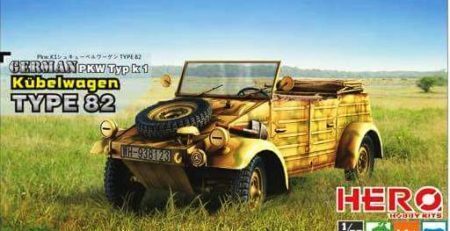 Hinting, that Miniart are offering more than one version of this vehicle, as they do with most of their toolings. Reoving the lid, we have one big plastic envelope, holding every plastic sprue alongside the decals, photo-etch envelope and clear parts. On the very bottom are the instructions. A nice, rather thick booklet done in typical for Miniart style, with glossy pages for the color schemes and its outer pages. Within 42 steps, the building process is spread throughout, including all the interior goodies. And they are many. The good thing is, that this tank is rather simple in reality, so interiored version scaled down, won’t represent one overcrowded small plastic box, but a good and revealing replica of the real thing. Steps are not very complex, although they are far from simple. Miniart designed them to avoid confusion as much as possible, but this kit has full interior which is always challenging. 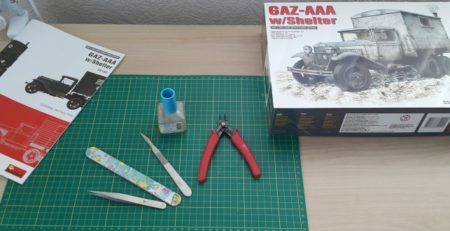 As with most of the Miniart kits, not very suitable for beginners. T-60 is not a big tank by any means. But the plastic parts in this kit are more than abundant in detail and numbers. They are made from light gray plastic material, very flexible and forgiving. 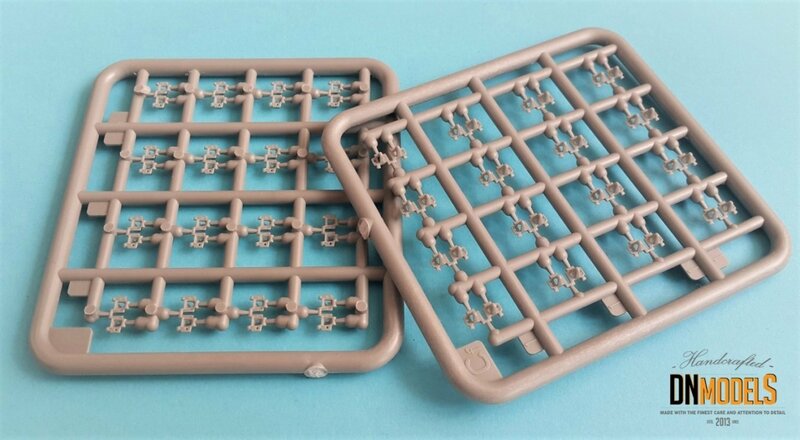 This is the new material that MiniArt are using for two years already. 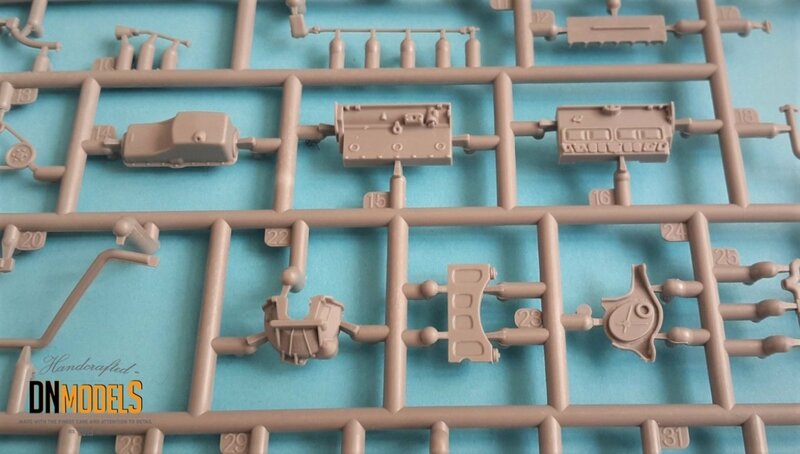 Very important to note here, since Miniart details are one of the smallest and most delicate and they require such plastic so to sustain the quality embedded from the designers. Before, when Miniart were using their old plastic, cracks and troubles were accompanying the build and that was quite frustrating for the modelers. Nowadays, this is history, and Miniart complex and highly detailed kits comes as an almost-perfect product, good enough out of the box. Decal sheet is small but little bit later in the article, you will see that it is more than enough for several versions, each with its own style and appearance. Decals are thin and the transparent film is almost invisible. Begemot-like sheet, with good colors, and featuring many hand-written letters or numbers, which can be substituted by hand-painting if one wants more authenticity and loves to play with the brush and weathering. 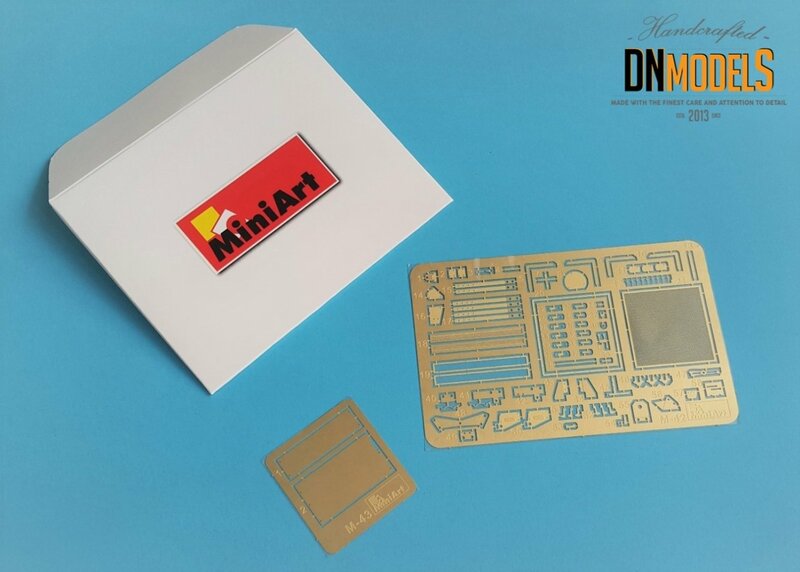 Photo-etch sheets are two – one small and one big, being packed in a cardboard envelope with the logo of Miniart. They are very thin and flexible and are not perfectly suited for beginner modelers. However, a pleasure for experienced ones and with total number of nearly 80 details, which for such small tank is surprisingly big number. 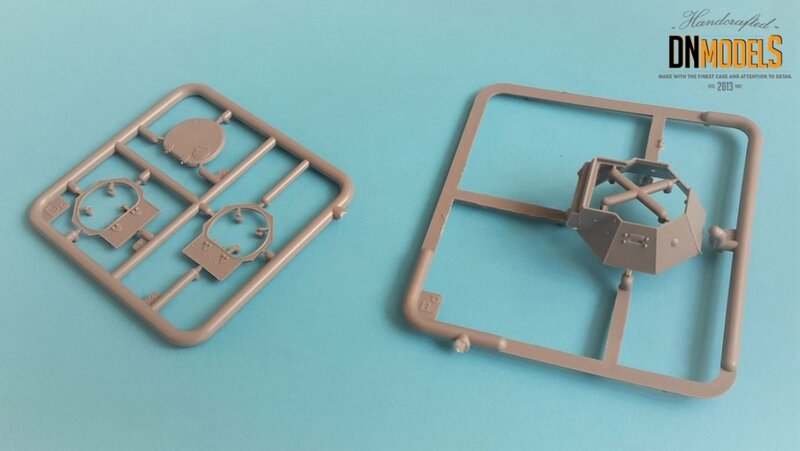 As usual – great job with the metal parts from the Ukrainian company. We have separate track links for each track length, which /with the size of the tank in mind/ seems scary. However those tracks are very well done and working with them is a pleasure. I have done couple of such projects with older MiniArt tanks and I must say they are very nice and even better to work with, compared with Dragon Magic Tracks. Damages can be done easily, or spare track links added as additional protection all over the tank, which is nice to have for such small vehicle. The only trouble is their size and the fact that due to that, it might take longer to complete the whole length. 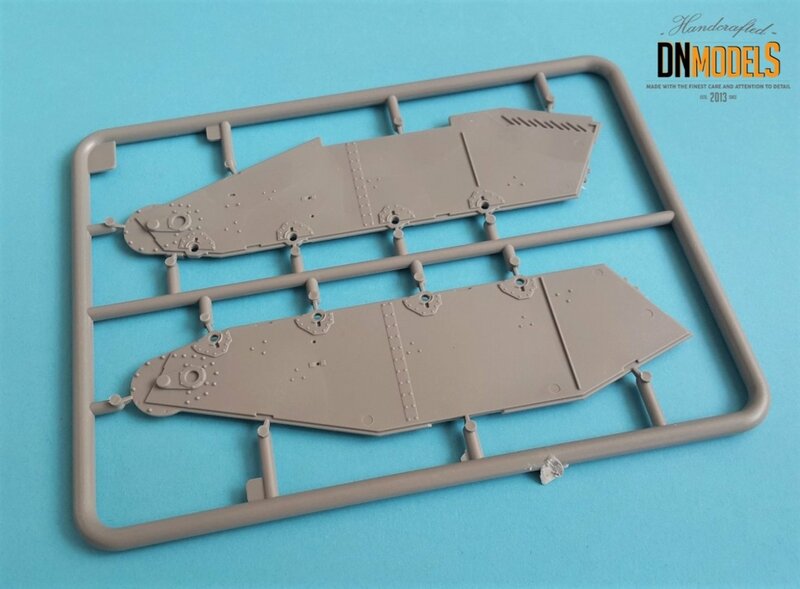 Sprues with tracks take a decent part count from the whole kit, but its well worth the effort to make them that way, since the appearance in the end is fantastic. We have many variations of this tank. Not surprisingly, knowing the fact that it was produced in more than 6000 numbers. Not surprisingly, we have captured vehicles included. 33th Tank Brigade, Red Square Parade, 7 Nov. 1941. Red Army, winter 1941/1942 – white camo with red 38 on the turret. Red Army, Rzhev district, 1942. “Karmeliuk” written on the right side of the turret. White winter washed vehicle from winter 1941/42, Red Army, with a small logo on the turret. White washed tank with red number 9 on the turret, Spring 1942, Red Army. Red Army May 1942, 64th tank brigade. Green with red star on the main hatch and handwritten number on the back of the turret. Green with K-99 handwritten on the turret. Red Army 1941. White washed Wehrmacht unit, winter 42/43 with white crosses. Eastern front Wehrmacht until, hand painted camo with white hand-painted white crosses. Dark gray Eastern Front 1942 unidentified unit with white crosses. In general, more than one would want to get with a single kit of the vehicle. But abundance is never a bad thing, so we should be thankful to Miniart for the opportunity. And always keep in mind the fact that abandoned or damaged vehicles are another realm of options in which one can dwell infinitely while building this T-60. T-60 might’ve been a joke as a tank during its service, but this kit is anything but. The fact that this small vehicle is filled with interior parts, despite the simplicity of the original, is stunning. Out of the box, this kit is just enough, something that we rarely see anymore. Separate track links, and nearly 80 photo-etch details, almost 500 parts in total. That summarizes the T-60 from Miniart as a true piece of art, even though with modest dimensions. 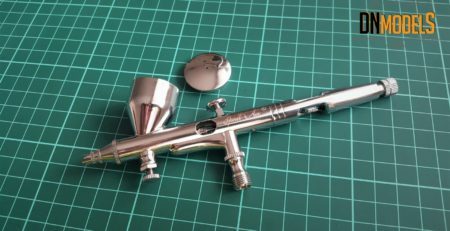 The numerous versions included will suit any taste and the complexity of the kit will take enough of your free time so to give the proper satisfaction of the whole scale modeling process. T-60 from Miniart is a promising little tank, with a lot of modeling possibilities embedded in its design. Such kits draw the line in between the future and the past of scale modeling. One should never judge from the first look. 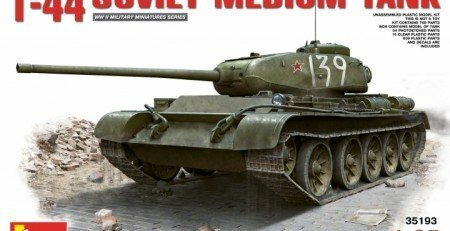 T-60 might look ridiculous while comparing it with Ferdinand or KV-1, but as a kit, next to those two, it has a lot more that we are used to get. And a lot more that is required from the modelers too. 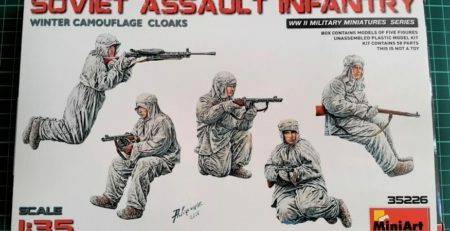 Another masterpiece from Miniart and very highly recommended for Eastern Front fans! 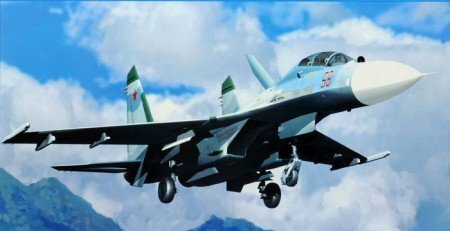 Top 5 Jet Kits in 48th scale Available Today. 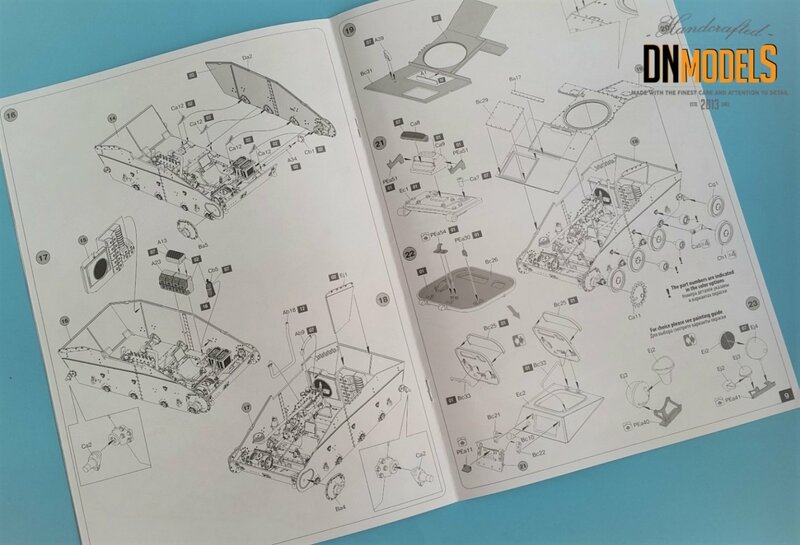 Miniart T-44 #35193 – the missing link of the T-series.